378 p., 15,5 x 21,0 cm. 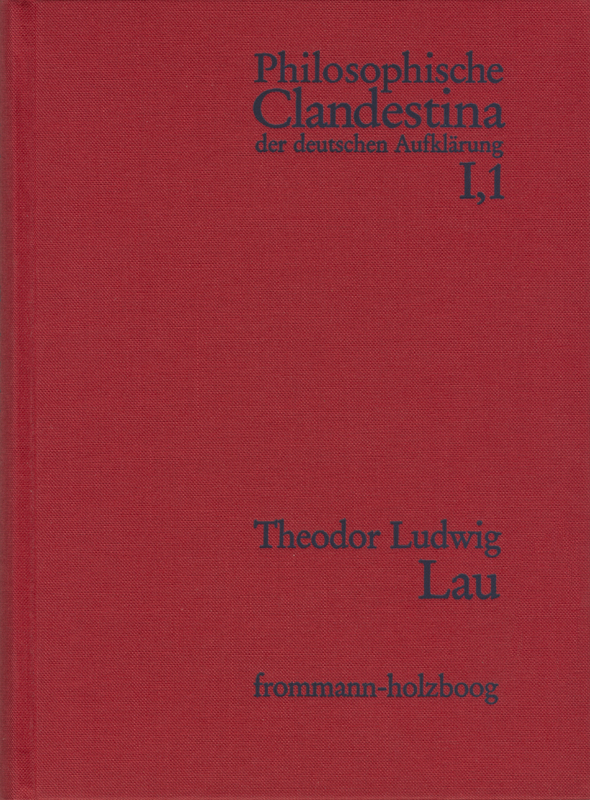 With contributions by Johann Konrad Arnold, Theodor Ludwig Lau and Christian Thomasius. Lau’s philosophical meditations are impressive examples of a radical literature of the Enlightenment which, although only accessible to a small interested audience, had a surprising impact. Their author represents the early tradition of freethinkers who succeeded in combining independent approaches of the Germany philosophy of the early 18th century with critical ideas of other contemporary trends of thought. Lau‘s works advocated candid religious criticism, a pantheistic view of God and the world and a materialistic anthropology. His criticism of official philosophy and theology led to his meditations being banned and to his personal persecution. These events are documented in the appendix of the volume with autobiographical material, records of his case and contemporary polemics against Lau.